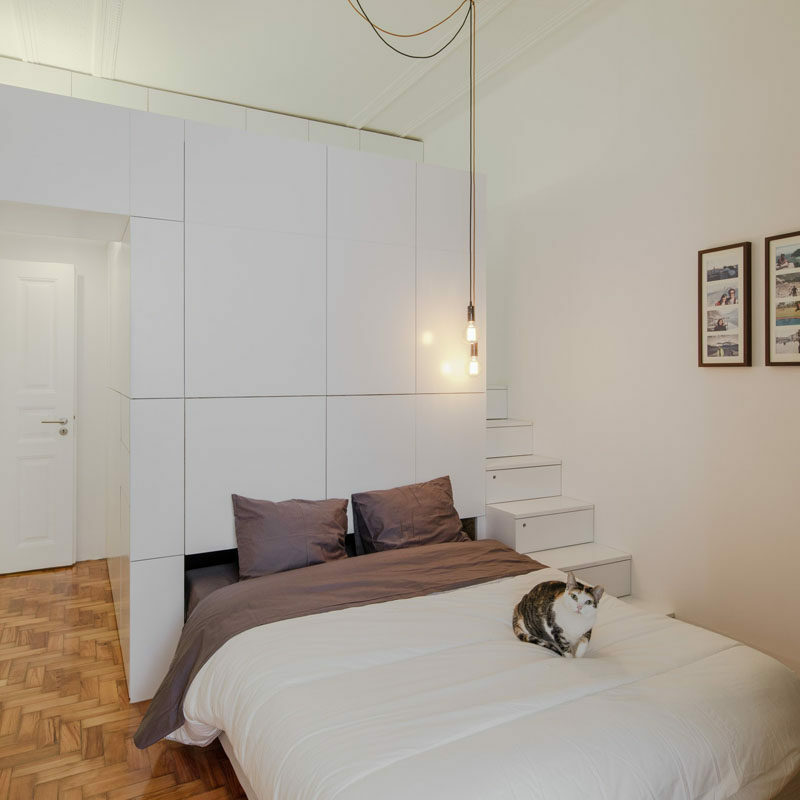 Ines Brandao Arquitectura have maximized floor space in this small apartment by creating a pull out bed within the white cabinetry. The bed which can be completely hidden away, can also be pulled out to create a small couch or a larger day bed. A black blanket and multiple pillows are used to decorate the space when visitors stop by. Once the mattress is pulled out all the way, a full bed with white and gray linens is revealed. A set of white stairs sits next to the couch/bed combo, with each step able to be pulled out as a drawer, providing extra storage in the small apartment.